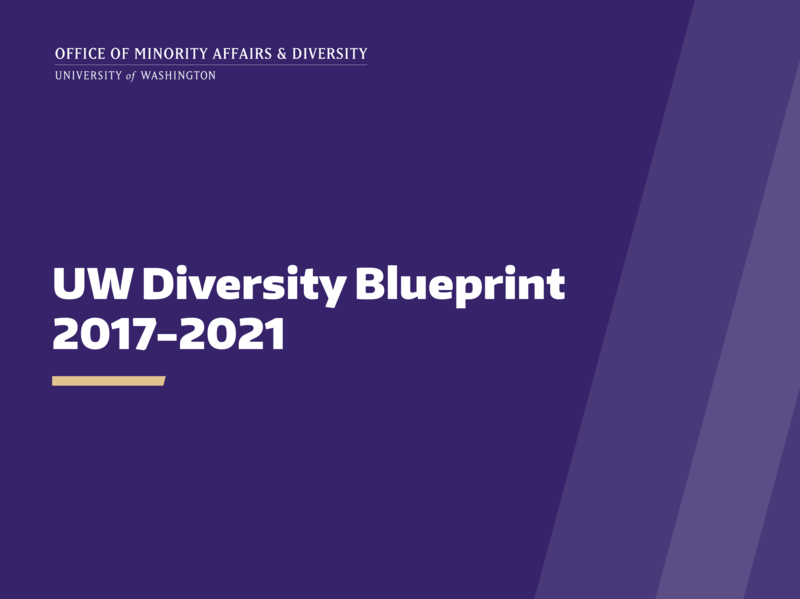 The University of Washington Diversity Council developed the 2017-2021 UW Diversity Blueprint with university-wide goals, strategic priorities and recommended actions. The Diversity Council advises the Vice President for Minority Affairs & Diversity and University Diversity Officer and works to ensure that diversity, expressed in various forms, remains integral to excellence at the University of Washington campuses in Seattle, Bothell, and Tacoma. Composed of faculty, staff, and students from across all academic and administrative units, the Council endeavors to inclusively and equitably approach diversity projects and initiatives. The Diversity Council is co-chaired by Rickey L. Hall, Vice President for Minority Affairs & Diversity and University Diversity Officer, and Dr. Chadwick Allen, Associate Vice Provost for Faculty Advancement. monitor progress on campus diversity initiatives. Membership on the Diversity Council is an opportunity to review and advocate for critical diversity issues, to coordinate diversity programs and initiatives across the University, to advise on and manage diversity planning, and to identify and disseminate best practices. The University Diversity Council has also played an important role in developing the Diversity Blueprint and monitoring its progress. The Council has been instrumental in bringing about change in several areas, such as coordinating student outreach initiatives across academic units, expanding options related to diversity in the curriculum, and developing assessment measures for diversity goals. Diversity Council members are asked to incorporate their understanding of diversity-related concerns within their units to inform the work of the Council. Additionally, members are responsible for reporting back to their deans and colleagues, and to ensure that the current work of the Diversity Council is circulated widely within their units.